Acute moist dermatitis or pyoderma: that’s the official name for your dog’s hot spots. … And there’s more to them than you might think. So what causes hot spots on dogs and how can you treat them naturally? What’s Causing Your Dog’s Hot Spots? Hot spots happen for a reason. Hot spots can appear anywhere. You’ll usually find them in areas where your dog has a weakness or chink in her energy flow. Energetically, hot spots are damp and bring heat and inflammation to the skin. Most hot spots are a result of too much heat in the body, blocking the movement of energy. The allopathic view of hot spots is that they’re an acute condition. 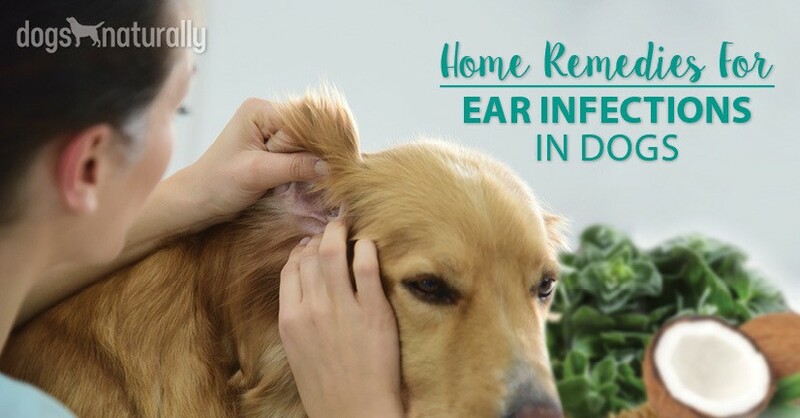 They’re usually diagnosed as allergens or flea bites. But hot spots on dogs can also be chronic. Most of the time they’re a symptom of a more serious condition. Chronic stress, food sensitivities, energy stagnation or liver imbalances are just a few. Acute or chronic, hot spots need immediate attention because they spread fast. They kick out hair and become a sticky, painful, sometimes itchy mess. This can happen within hours. If your dog’s hot spots keep coming back, muscle tension, injury and pain could be the cause. This is common if you find a hot spot on the spine. Look for tension in the area under the hot spot moving downward or slightly left or right of the area. With this type of hot spot you might see several hot spots over a short period of time. There will be excessive licking in most cases as well. For these types of hot spots, chiropractic adjustments, acupuncture or acupressure may help. They can clear stagnant energy and bring much-needed circulation to the area. Conventional treatment involves the suppression of a dog’s symptoms. This method of treating hot spots on dogs usually includes steroids and antibiotics. It’s really important to try to figure out and treat what’s causing it. Allopathic veterinary care follows the “moist skin lesion standard of care.” This starts off with chemical disinfection, steroids and sometimes antihistamines. Most owners get oral antibiotics and steroid creams to deal with the spot. … But these treatments won’t stop the hot spots from coming back. The meds don’t treat food sensitivities or a compromised immune system. They don’t address the underlying cause of the hot spot and can end up putting your dog into a cycle of sickness. There is an exception to this – although the situation is quite rare. When a hot spot leads to 40% to 50% of your dog’s fur falling out, a trip to your (preferably holistic) vet is a good idea. This usually happens with immune-compromised dogs or those with severe thyroid issues. [Related] There are homeopathic remedies to use at the first sign of a hot spot. Find our favorites here. When treating hot spots on dogs at home, to be effective you need to take a two-fold approach to treating hot spots your dog. The first step is to treat the hot spot externally to relieve painful symptoms. You want to keep the hot spot from scabbing and avoid bacteria overgrowth. And herbs are a great natural hot spot treatment. After you secure your dog, gently trim the hair around the area. Then rinse with this mild rinse. Optional: replace 4 oz of water with witch hazel or rose water for extra drying or cooling support. Mix together the flower essence, the salt and the water. Add the Self-Heal and the echinacea. Flush the area or gently mist and let dry. Do this 3 or 4 times for the first 24 hours. Next, combine 1/4 cup of powdered bentonite clay with 1/8 cup of powdered echinacea, plantain leaf or yarrow. Bentonite clay is okay by itself if you don’t have access to the herbs above. Sprinkle this on the lesion and let it sit for 30 to 45 minutes. Rinse off with tepid water or the Hot Spot Rinse. Do this 2 or 3 times per day. When the hot spot starts healing, you can use a salve made with calendula or St John’s wort oil. Both of these herbs calm the skin and remove the itch, while dispersing inflammation. Calendula is both antibacterial and anti-fungal. It heals tissues quickly (but be careful, it can heal too quickly if an infection is present). If the hot spot seems to be infected (with drainage or excessive scabbing) hold off. Wait until the hot spot starts healing with minimal drainage before using. You don’t want to clog it. Some hot spots lack moisture and remain dry with limited bacteria growth. You can apply a simple calendula salve or infused oil to quickly heal tissues and calm the itch with these. For painful, dry or healing hot spots use a calendula and goldenseal spray. Add 15 drops of each tincture to one cup of water. Mist 3 to 4 times a day. The second step in healing hot spots involves internal treatment. A diet of fresh whole foods is better for your dog’s total health. [Related] Want to make the move to raw? It doesn’t have to be complicated. Find out how easy it is here. Support the organs of elimination like the digestive tract, kidneys and liver. This will help balance out the body and support whole body healing. A tincture of whole burdock can clear heat out of the system and cool it from within. It will also support kidney function. General dosage guidelines for hot spots: give 1/2 drop of tincture for each pound of body weight. Give it to your dog twice daily. If you’re using a glycerin extract use one drop for each pound of weight. Keeping your dog’s lymphatic system moving is also an important part of healing. It removes toxins and cellular waste and transports white blood cells. An active lymphatic system decreases inflammation and helps fight off further infections. Two herbs that work well for this are calendula and cleavers. I recommend calendula for dogs who are energetically cool to neutral. Cleavers works well for warm to hot dogs. Dogs with hot spots who have immune or organ imbalances usually fall into this category. The general dose for lymphatic support is one drop for ten pounds of bodyweight. The skin is an organ of elimination like the colon, kidneys and liver. The suppression of symptoms should only be a last resort, saved for extreme cases. Holistic treatments look to ease symptoms and keep hot spots from spreading. Suppressing the body’s response can drive inflammation deeper into the tissues. This eventually contributes to chronic disease. One of the most effective ways to avoid multiple lesions is by being proactive. Don’t look at hot spots as a one-off issue. Instead view them as a chronic condition caused by a deeper underlying condition. You need to address this condition. Effective preventative care involves establishing a relationship with a homeopathic or holistic vet. Skin lesions like hot spots function as a warning beacon. They’re telling you to treat from within. 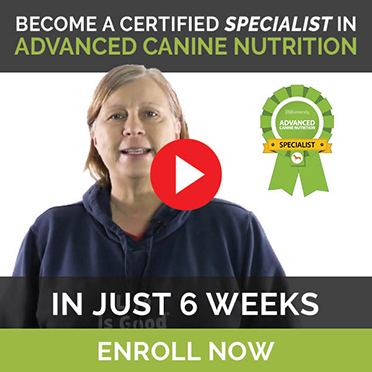 Strengthen your dog’s digestive and immune function while supporting internal organs. Many natural modalities prove effective for healing hot spots. This herbal regimen gives your dog relief while allowing her body to respond. If your dog’s hot spots are an issue, work on the inside. Support her immune system and get her energy flowing.